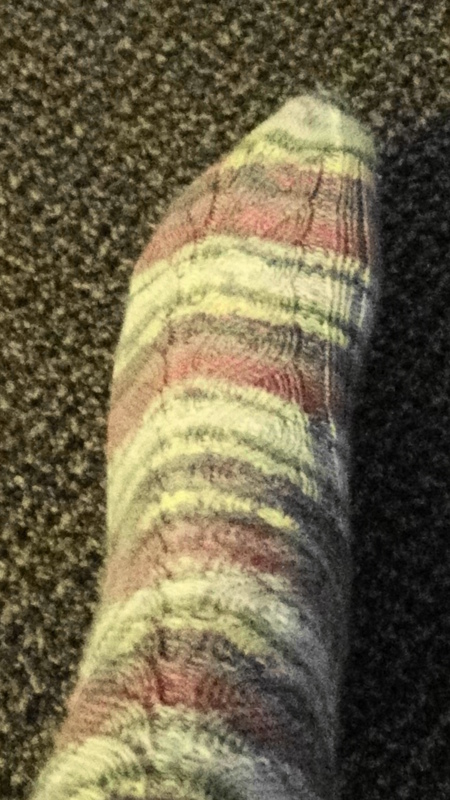 I just finished a pair of socks!. I found the pattern on Ravelry.com. 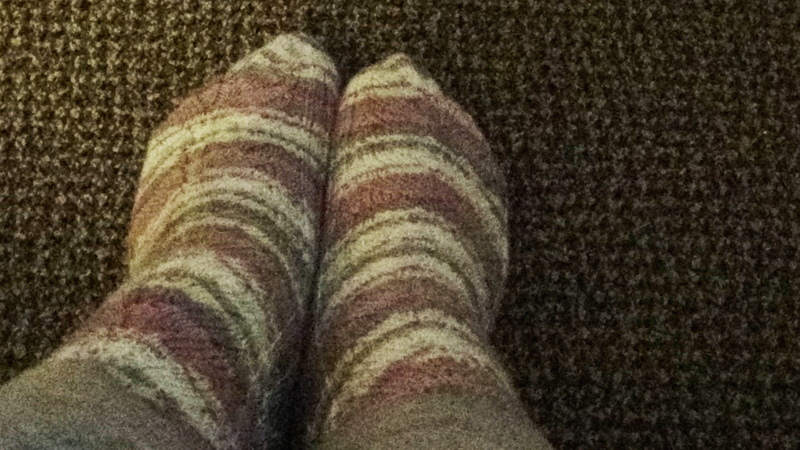 They are a little snug on my feet but I love them. Just in time, even though it is August the floor in my apartment is cold.